Narendra Modi greets US President Barack Obama on arrival to India. Photo Credit: India PM Office. The former US President Barack Obama’s South Asia strategy was clearly reflected in his visit twice to India and never to Pakistan. While Pakistan was not treated like an ally during his two terms in White House, Obama gave India the attention and support that the US generally gives an ally. The current US President Donald Trump’s South Asia strategy seems to be no different from his predecessor Barack Obama. Trump – in his recent address to a group of US troops on the 21st of August where he laid down his administration’s South Asia strategy – largely denounced Pakistan for harboring militants and called on India to step up its efforts in the region, including Afghanistan. India’s PM Narendra Modi and US President Donald Trump at White House. Photo Credit: India PM Office. Obama’s foreign policy made India a vital component of Obama’s flagship ‘Asia Pivot’ strategy formulated to counter the rising Chinese influence in greater Asia Pacific and Indian Oceanic region. Understandably under this strategy, Obama supported India’s claim for permanent membership in the United Nations Security Council and largely eased the export control regimes that was imposed to prevent sale of sensitive technology to India after India’s 1998 nuclear tests. What’s more, the US had, under the Obama administration, entered into a strategic partnership with India in an effort to counter China’s influence. Obama was the first US president in history to visit India twice. Twice it is. This is the same Obama who did not visit Pakistan in his two terms. Never it is. Indeed, ‘twice against never’ gives a clear understanding of the US foreign policy during Obama’s terms with regard to these two neighboring rivals. While Pakistan was no more treated like an ally, India got the favors that the US generally gives an ally. Furthermore, despite the US’s good relations with India’s arch rival Pakistan from the cold war era, Obama administration’s move to order the killing of Osama Bin Laden in a hideout in Pakistan had caused serious rift between Obama administration and the Pakistani establishment during the time. While Pakistan interpreted the killing as an attack on its sovereignty, Barack Obama became suspicious of Pakistani commitment to US’ interest after discovering Bin Laden in Pakistan. From Obama’s time in the White House, Pakistan has been facing criticisms from different influential corners in the US on various grounds, including its inability in doing what is required to be done in combating militancy in the region. Although the previous US administration, under Obama, used less cold words against Pakistan, the administration was slowly moving towards creating a stage for its successors to gradually cast off Pakistan in the US’s attempt to embrace Pakistan’s arch rival India and put indirect pressure on China, which is Pakistan’s strategic partner against India. From his recent address, it appears that Trump’s policy is not different from that of Obama when it comes to South Asia, particularly with regard to India, Pakistan and Afghanistan. Instead, Trump seems to be heading towards intensifying those courses of actions undertaken by Obama. 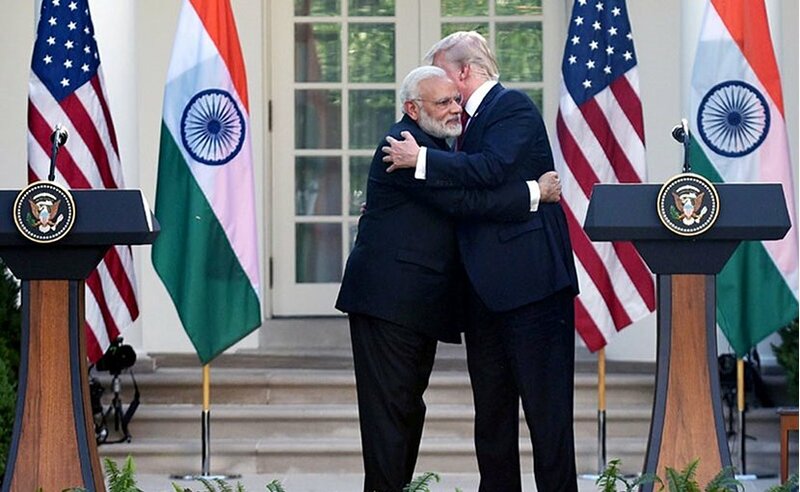 In his address, Trump appreciated India’s contributions so far in Afghanistan and referred India as a key security and economic partner of the US. He invited India to play a greater role in Afghanistan in the area of economic assistance and development. Thus, what came out implicitly in Trump’s address was his administration’s urge for a greater Indian role in South Asia. The Trump administration’s desire for a greater Indian role in South Asia, particularly Afghanistan, has certain implications for the US’ relations with Pakistan, which has a profoundly hostile relationship with India centering Kashmir and has long been suspicious of Indian involvement in Afghan affairs, with the fear of India using its tie with Afghanistan national government to encircle Pakistan. Trump’s address further reflected his administration’s intention to take a hard-line approach towards Pakistan, which Trump said provides safe havens for terrorists. “No partnership can survive a country’s harboring of militants and terrorists who target US service members and officials,” said Trump as a blunt message to Pakistan. It seems Trump is not backing off from Obama’s strategy of gradually distancing from Pakistan for the sake of a wholehearted relation with Pakistan’s arch rival India. Like Obama, Trump too has negative outlook towards Pakistan due to the discovery of Osama bin Laden in Pakistan and previously translated the Bin Laden incident as Pakistan’s indirect shelter for someone who was waging a war against the US. Further to the US’ suspicion on Pakistan over harboring various armed groups, Pakistan’s ever growing intimacy with China, a country which the US perceives as the major threat to its interest in the greater Asia Pacific and the Indian Oceanic region, had been earning Pakistan a bad name in the US policy making structure during Obama’s tenure in White House and the US’s displeasure towards this relationship is now clearly reflected in Trump’s policy. All in all, thee Trump administration’s South Asia strategy does not seem to alter the strategy that its predecessor Obama administration had formulated for the region. Instead, it seems the overtures Obama was making towards India and the silent retreat his administration was making from supporting its old ally Pakistan have only got an advanced outlook through Trump administration’s South Asia policy.